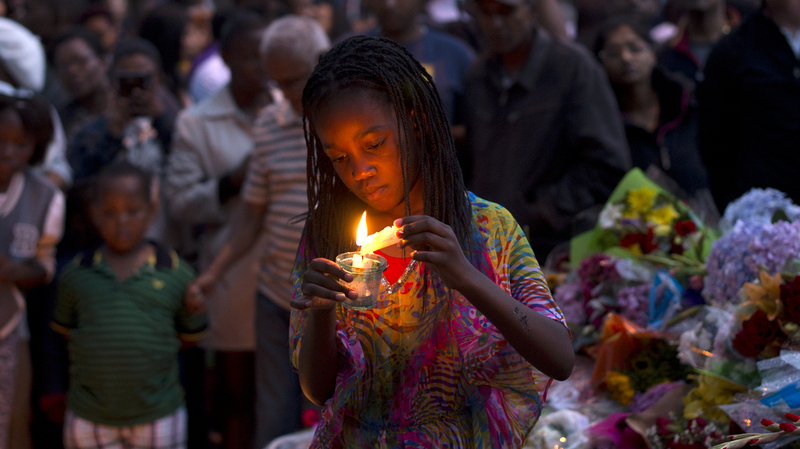 On Dec. 8, three days after Nelson Mandela's death, a girl in Johannesburg lights a candle in his memory. Poet Mbali Vilakazi has written an elegy for Mandela that asks the next generation of South Africans to continue his legacy. In his youth, Nelson Mandela cut a dashing figure. He was a revolutionary, an outlaw — by the early 1960s, he was living underground. And he had a nickname to match: he was known as the Black Pimpernel. 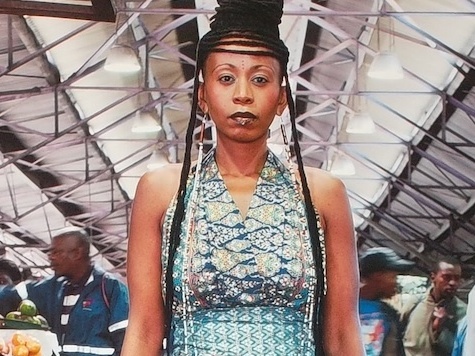 Poet Mbali Vilakazi has worked as a producer of Radio Workshop, a weekly radio show for South African youth, and as a curator for the Africa Centre's Badilisha Poetry Radio. The nickname came from the titular character in The Scarlet Pimpernel, a novel set in the French Revolution. Like the original Pimpernel, Mandela was a master of disguise. He'd appear suddenly to deliver a fiery speech, then disappear — as Mandela himself put it, "to the annoyance of the police and to the delight of the people." Mandela's outlaw years ended eventually. He was imprisoned for decades and went on to become a distinguished elder statesman, beloved around the world; he died on Dec. 5. But it was that young, revolutionary Mandela, the man charged with treason and hunted by the police, whom Mbali Vilakazi had in mind when she wrote an elegy for Mandela — and called it "The Black Pimpernel." Vilakazi, a South African poet who won last year's Poetry Games on Morning Edition, spoke with NPR's Renee Montagne about her poem. In it, she calls on the next generation of South African leaders to "make [their] own meaning" of struggles yet to come. The Black Pimpernel was a derogatory term referencing a fictional character. And that is how he came to be known by the security forces while they were looking for him. And it charts how he donned various disguises to elude the security forces and, in fact, how much he enjoyed it. Because he writes about, you know, how he would use his tickeys [coin currency] to call media to talk about how sloppy the police were in trying to find him. What has been interesting for me is the response of just ordinary South Africans, and that speaks to how deeply ingrained he was in the fiber of our homes. We grew up with this man. He is ingrained in our personal stories, too. So the fact that he was away, I think, only served to enlarge the idea of him and what the country was going through, even though we were young — because I was young. Where there are no easy answers, there will be no easy poems, and there is so much that has been said and written about him, and there's so much that I feel has also been reduced in relation to him. So for me, I wanted to begin where I stand. I wanted to look back, but I wanted to also begin with a firm footing in the present, looking toward the future, because as that generation that comes after all of what has happened that has enabled even me to be here and have a voice, it is now up to us. 'I am not a saint' you said. "The Black Pimpernel" by Mbali Vilakazi. Copyright 2013 by Mbali Vilakazi.